With the reopening of Pirates of the Caribbean still several weeks away, let’s dip into my special private reserve today to briefly satisfy those cravings. The Blue Bayou is by far the most peaceful place in all of Disneyland, and every time I pass through it I can’t help but feel immediately relaxed. Forget the Dream Suite, I want to take a nap in that boat! 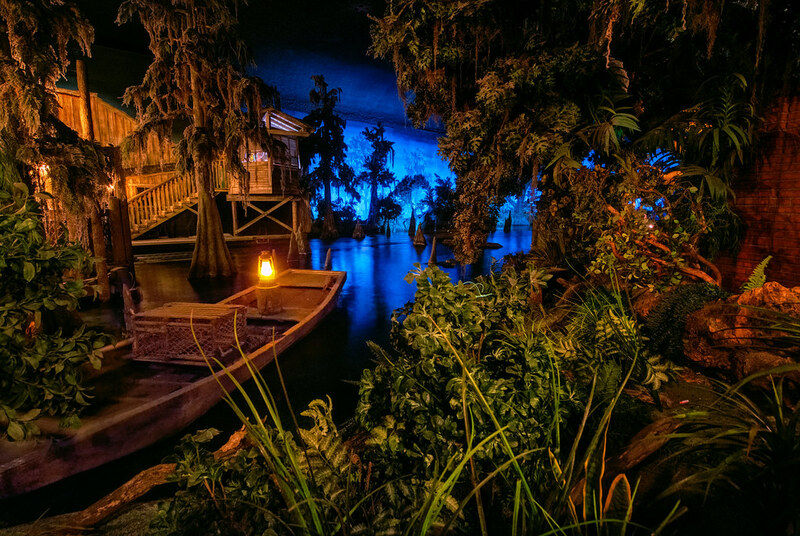 This entry was posted in Pirates of the Caribbean and tagged bayou, blue, boat, dark ride, glow, HDR, water. Bookmark the permalink.